This entry sat in my draft folder for a long time I almost turned it into a fossil. Somehow I didn't finish it because I didn't quite know how to end it... Now I've got the answer and here's the story of how Naomi adjusted to her new sibling. When I was pregnant with Brennan, my husband and I had begun educating Naomi that she was going to be promoted to a big sister soon and there's a baby brother inside Mommy's belly. Every time my husband caressed my pregnant belly, she would do exactly the same. She knew that there's a baby inside Mommy's burgeoning tummy. Some months later, Brennan arrived. My husband brought Naomi to the hospital to visit me and meet her baby brother for the first time about 5 hours after I gave birth. Naomi was very happy and jovial when she visited me and impatiently waited for her baby brother to be brought to my room. As she could not wait that long, my husband brought her to the baby nursery and she saw her baby brother for the first time there. Naomi's first meeting with her brother. Naomi was ecstatic to be a big sister and she instantly became over-protective to her baby brother after the nurse sent Baby Brennan to my room. For a moment, she didn't believe that the baby in front of her was the baby that stayed in Mommy's Hotel Uterus for many months. Naomi opened the blanket that covered my body to confirm that my tummy had gone flat. When the nurse brought back Brennan to the nursery that night, because he needed to be put back to his warmer, Naomi got very mad and cried buckets. She thought the nurse snatched her baby brother. She screamed angrily and even followed the nurse back to the nursery with huge tears running down her face and loud cries. My husband had to bring her back home shortly after that because she could not stop crying and really looked pitiful. At this point of time, my husband and I thought that we both were spared from dealing with the infamous sibling jealousy/rivalry issue. The introduction of a new sibling seemed to go smoothly and it looked like Naomi really loves her brother given the above scenario. Not to mention, their age gap is almost 4 years whereby we assumed that she's big enough to be a big sister and would not be jealous to her brother. The first week after we brought Baby Brennan home went fairly okay. Life was hectic for both husband and me but everything was under control. My movements then were very limited because I was still recovering from childbirth and literally spent my days with Brennan in our room upstairs for a week. Naomi seemed to love her baby brother and caressed him a lot. Every time she came home from school, the first thing she looked for was her brother. On my second week at home, I was mainly busy tending Brennan, struggling with breastfeeding and trying to give myself more rest. My parents were here so my husband and my parents took turn in caring Naomi on daily basis. This week, Naomi started showing a changed behavior at home. Initially, we thought Naomi was just throwing tantrums over the things that she didn't like or didn't manage to get from us. However, after few days of observation, we realized that the behaviors that Naomi exhibited to my husband and me were not normal. She launched a fluctuation of emotions and a wild side of her that we had never seen before. She didn't hurt her brother or anything like that but she was always temperamental whenever my husband and I were around. Naomi's angry repertoire consisted of releasing ear-shattering screams, bawling, pounding the floor, asking us to do things that she herself could not identify properly (she said she wanted something but she didn't define and refused to further specify that 'something' she wanted), hitting us, breaking curfews, slamming the doors, throwing things in the room, etc. Her outbursts were not pretty sights and it's difficult to keep peace with Naomi at home. It was as if my little girl has turned into an aggressive little beast overnight and her new behavior shocked my parents, especially my Dad, greatly. Without my husband's knowledge, I purchased 2 sets of Lego online as Naomi's big sister gifts. As per my Mom's advice, we didn't present both gifts to her at once. Rather, we gave her 'promotion' gifts one by one on the occasions when we ought to cheer her up. Naomi suffered from very bad cough and flu. Doctor deemed that Naomi's cough virus was highly contagious so he advised us to separate Brennan and Naomi temporarily. He even urged us to make the baby sleep in different room until Naomi got better because Brennan was still so young. As such, whenever Naomi came near the baby or coughed near the baby, I brushed her off right away to prevent the virus spread. We told her not to kiss the baby nor cough on the baby's face until she felt better. After three weeks at home, Brennan still received most of my attention day and night because I was breastfeeding him on demand and still grappling with direct latching him correctly. I think all the above factors caused Naomi to feel left out and pushed aside. On top of throwing tantrums, Naomi had also started fighting for our parental attention vigorously and showed regression at home. For examples, when I breastfed the baby, Naomi demanded her milk to be prepared at the same time even though she just ate her meal or drank her milk not long ago. She also wanted us, especially her Dad, to carry her whenever she used the stairs. She asked us to hand her water bottle even though the bottle was just 10 cm away from her. She was acting like a baby and wanted to be treated like how we treated the baby. It's already 3 weeks since we noticed Naomi's changed behaviors. Some days, her behaviors were considered manageable. Some days, she could be a pain to deal with and drove us up to the wall. She loved to be prioritized too at this point and got so worked up if we treated her as a second citizen. Naomi began testing us to be sure that we still cared for her. On the day when we celebrated Brennan's full moon, we gave Naomi her second Lego box as she launched her yet another major tantrum and refused to enter the house after we came home from breakfast and picking up Brennan's full moon cakes. All in all, the first month of Brennan's arrival in our house was the hardest transition period for Naomi. She was practically a cranky, sullen, likely confused and very jealous child. As days passed by, I guess I have finally found my equilibrium in giving equitable attention to both kids, although technically baby still enjoys most of Mommy's attention. Naomi's behaviors had improved tremendously after I was back to the routines in picking her up from daycare in the evening, spending more time to play with her, feeding her and cuddling her every day. She is occasionally jealous to her brother but the jealousy intensity is not as severe as the first few weeks after we brought the baby home. When I can't leave the house much because baby is still too small to go out, my husband usually goes on dates with Naomi. He'd bring her to swim, play ball in the court, take a walk in the park or accompany her to have fun in the neighborhood's playground. Daddy has to up his game several notches in doting his daughter just so she still feels very much loved and not forsaken. After bath: Combing baby's hair with love. Nowadays, Naomi is already back to her old self. Sometimes she still fights for our attention when Brennan is awake. Nevertheless, she is doing a good job in adjusting her role to be an older sibling. Few weekends ago, my husband offered me to go to Johor with him to pick up a truck load of stuff for his work. Since he was driving his pick-up vehicle to go to Johor, which was about 3 hours away from where we live, he asked me to choose one child to tag along to Johor for that road trip. I chose Naomi because I wanted to give her a special time to bond with us just like when she was our only child. Also, it's not so practical to bring baby to go out of town in a pick-up car. We left baby to MIL's hands for few hours. Guess what happened right after we placed baby at his Grandma's house and I got in the car without the baby? Naomi sulked, whined and nearly cried because her brother didn't join us for the trip. She kept saying "I want baby. I want baby." for about 20 minutes and told us repeatedly to go back to Grandma's house to get the baby. I was actually quite taken aback to learn her reaction to this. I thought she would do a happy dance when she finally got Mommy and Daddy for herself for few hours... I was wrong. Brennan is already a big part of her life and she wants him to be around. Furthermore, Naomi usually whimpers and starts complaining when she sees somebody other than her parents and grandparents carries Brennan. That's how protective she is to her brother now. 3y11mo and 4mo1wk: Look who woke up first on Merdeka Day. No doubt that the arrival of a new sibling can be unsettling to our first-born who is used to be the center of our world. However, the siblings will eventually bond just fine and parenting multiple kids does get a little easier over time. I find it very cute every time I see my two children enjoy each other's company and share kisses. This is a super belated post. I meant to blog about our family holiday to River Safari in Singapore last year; however due to 1001 reasons, this post has yet to see the light in my blog until now. In September last year we went to Singapore with my parents and in-laws for sightseeing. On the first day of our trip, we checked out Singapore's awe-inspiring Gardens by the Bay. After exploring this award-winning horticultural attraction, I was simply dog-tired to do anything else in Singapore because 3 y/o Naomi then was too hyperactive and very difficult to handle. I even let go my desire to stuff my face with a huge bowl of Singapore Dry Yong Tau Foo with Bee Hoon which I craved for years. Furthermore, her stroller was left at home which caused unnecessary extra stress to the supposedly relaxing holiday. As such, right after we had our late lunch in one of Gardens by the Bay's restaurants, we decided to go back to Johor Bahru (JB) for dinner. As staying in a hotel in JB is much cheaper and it's quite convenient to travel from JB to Singapore by car and vice versa, we booked our hotel in JB. You can use HotelsCombined to compare and get the best hotel deals from all the top travel sites. On the next morning, after having our breakfast in JB, we headed back to Singapore for our next little adventure in River Safari. I remember that morning I had body aches from running around and carrying a very active Energizer Bunny in Gardens by the Bay. I really think on top of keeping a packet of wet wipes, we should also throw Counterpain or Salonpas into our handbag when holidaying with a toddler. We arrived at Singapore's River Safari at around 11am. 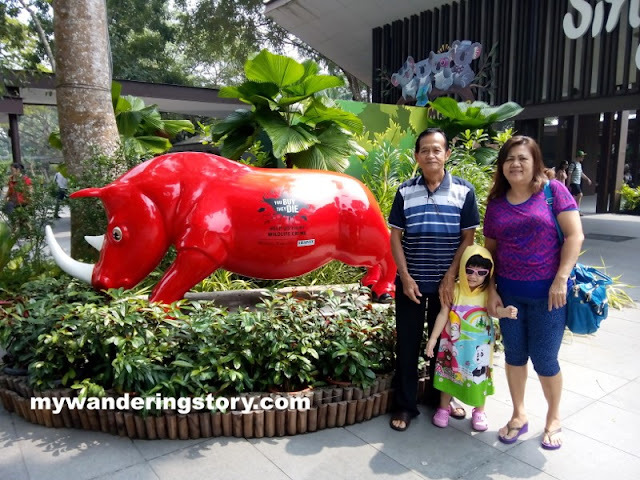 Although River Safari is nestled in between the famous Singapore Zoo and Night Safari, I purposely didn't buy the multi-park tickets because I knew I would be exhausted after just visiting this river-themed wildlife park with Naomi. Singapore Zoo and Night Safari - next time OK! Thank God, River Safari provides nice and sturdy strollers for rent at SGD 9 each. The stroller rental fee was rather expensive for us indeed (if you convert SGD to RM) but we rented one anyway. The stroller we rented was truly our lifesaver of the day. What would we do without you, dearest stroller? River Safari is one of the world's largest repositories of river dwelling animals. Not only visitors can experience close encounters with aquatic inhabitants from iconic rivers around the world, we could also discover the terrestrial animals surrounding these rivers. Our journey in River Safari began with Mississippi River's walk-through exhibits which house the unusual spatula-snouted Mississippi paddlefish and the alligator gar. Fun Fact #1: Alligator gar is a prehistoric-looking river monster that has been around for 100 million years. 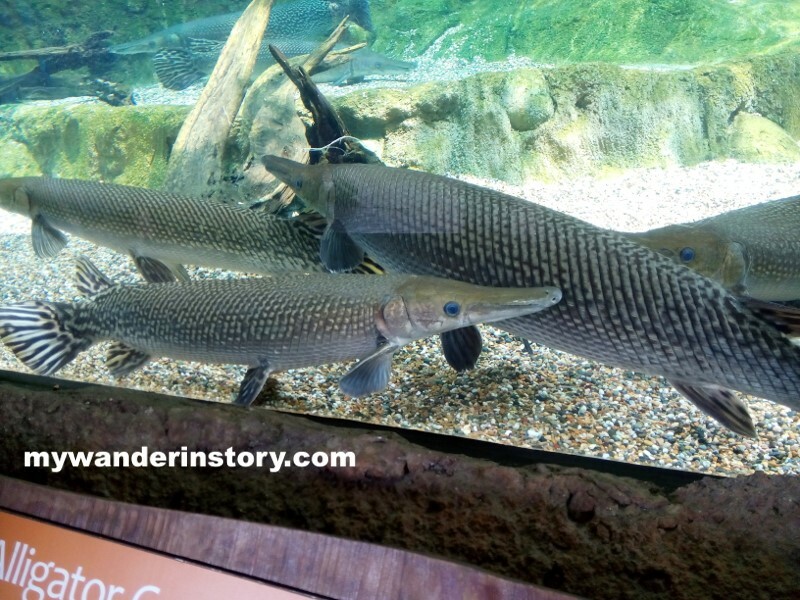 The ancient fish: Alligator Gar. Then, we continued our walk to see some of the Mekong River's largest fish. Fun Fact #2: Do you know that the giant freshwater stingray was thought to be a myth until two decades ago? No? Me neither.. Until I read about it in River Safari's brochure. After checking out the unique collections from this river-themed zoo, we said "Ni Hao!" 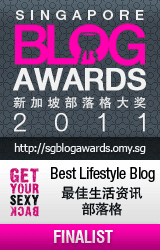 to Singapore's very own giant pandas in the Giant Panda Forest. We literally took our sweet time here because we were too engrossed viewing the pandas and taking photos with them. Also, we purposely chilled around the Pandas' exhibit because the area is air-conditioned. It's so shiok to relax in an air-conditioned space on a very hot day. Not sure this was Kai Kai or Jia Jia. Fun Fact #3: Pandas can live up to 30 years in safe places like zoos. To me, this zone is more like a place where the main characters of Kung Fu Panda came into life. We briefly met Po and Master Shifu look-alikes here. Master Shifu? 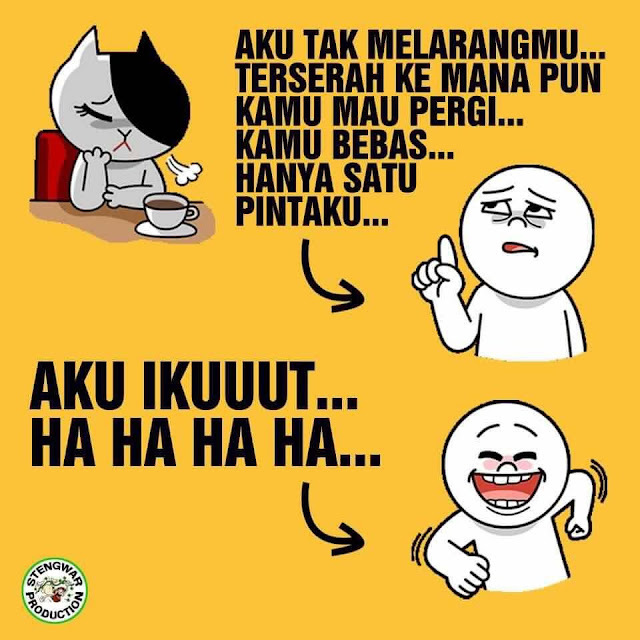 Is it you? Fun Fact #4: Red Panda is more closely related to raccoon and weasel rather than giant panda. When my Panda eyes were not so severe. Next, we saw a locally-born polar bear swimming in his exhibit that's built to resemble the Arctic Habitat. Inuka, the star of the Frozen Tundra. Done feasting our eyes with some of the World's colorful, endangered and largest river creatures, we took a delightful cruise along the Upper Seletar Reservoir to spot some wildlife animals like giraffe, elephants and many more. Me and my Dad: While waiting for our boat ride. The guided cruise was a 15 minutes boat ride and somehow I enjoyed it very much. Naomi was too young to be interested or recognize many animals by name then. Needless to say, she was not too amused with the boat ride. But we were! In fact, my Mom took quite a number of photos when we were on the cruise. I love cruising on a boat. I actually also planned to take the boat ride for the Amazon River Quest but last year Naomi was too short to take the ride so we had to scrap this idea and just enjoyed the River Safari Cruise. Before we called it a day, we spent nearly half an hour observing manatees and other enormous fish such as the giant catfish and arapaima swimming inside the World's largest freshwater aquarium. There's something about manatees that was so captivating to us. My Dad, who normally just admires captive animals in less than a minute, stood in front of this huge aquarium maybe for five minutes mesmerizing the manatees. As expected, Naomi could not care less with these marine mammals, desperately wanted to get out of her stroller then got real busy running around in front of the massive fish tank. I used to believe they were mermaids. LOL. Fun Fact #5: Manatees are herbivores and like to graze on the sea floor and feed on sea grass. Hence, they are sometimes called sea cows. Just before we left River Safari I remember passing by the giant river otters but was too tired by that time so I didn't take any proper photos of them. Cute magnet souvenirs that my husband bought. That's all about our day trip to River Safari. Overall, we had a good time in River Safari and I definitely recommend you to visit this place with your kids if you have the chance. Going forward, I aim to bring my kids to visit Singapore Zoo and Night Safari when Baby #3 is older. Naomi is turning 4 next month and she is indeed a very chatty and bubbly little girl. However, she is actually quite a temperamental and impatient kid too given that she is evidently a very structured and perfectionist Virgo child. I guess sooner or later my husband and I will need to start reading stuff like "Taming Perfectionism in Children" or "Helping Your Perfectionist Kid Find Balance". 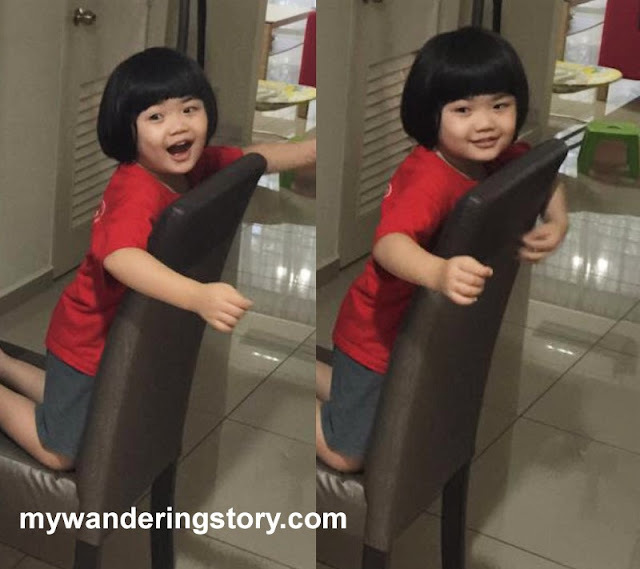 Nowadays, Naomi can understand a lot of things including our instructions, sing a number of nursery songs, and loves to express her feelings through words more. Naomi has excellent memory and her vocabulary in three languages has definitely improved tremendously of late (sometimes she surprises us with her new lines!). Last Sunday evening, I was baking some cupcakes in hurry. I was rushing in completing my bakes because it was almost dinner time and Brennan was crying. Sadly, Naomi who always gets very happy every time I bake didn't get the chance to be involved in my baking session last week because I just wanted to get the cake batter done ASAP and pop the cupcakes in the oven. : Naomi, you go play with Papa, please. Mommy is busy now. : No, I don't want. By this time, she already dragged the dining table chair next to me so she could she what I was doing in the kitchen. She followed me wherever I went in the kitchen. When I ignored her, she started grabbing random things on the kitchen's counter-top and playing with the kitchen's cabinets' doors. She even put the cake batter that I accidentally dropped on the kitchen's counter-top into her mouth. Gah. I was so engrossed placing some cake batter into the cupcake tins real quickly and didn't really bother Naomi who was chirping next to me. All of sudden, she gazed at me and softly told me this. : I love you, Mommy. My husband was on Harry Potter marathon for almost a week a couple weeks back. Naomi was obviously not interested with movies like this because she only loves watching cartoons. However, she was with us in the room, playing with her Lego and other toys, when we were watching Harry Potter 1 all the way to 7B. One evening when she just came back from day care, she was playing with her Lego in the living room. I sat down with her to see what she was doing. : *Showing me her Lego bricks* Mommy, you see. : Yes? What is it? : What?? Why are you suddenly saying Harry Potter? There is no Harry Potter Lego here. : No, you see. He-li-po-te. : *Silent for few minutes while trying to think* Ahhhh... Helicopter, you mean. Yes, yes.. Helicopter! Naomi indeed has a set of Lego bricks that she can turn into a small green helicopter. She was referring to that. Apparently. Two nights ago, Naomi was chilling in our bed. She was watching Oggy and the Cockroaches before she slept. Her brother happened to be so awake and cried loudly. My husband tried to console him but this little man was inconsolable. His cry went from loud to very loud within seconds and it's somewhat annoying. Done passing her very important message, Naomi walked away then continued watching her cartoons. I suppose a kid as young as Naomi also knows the joy of watching her favorite cartoon peacefully, eh?